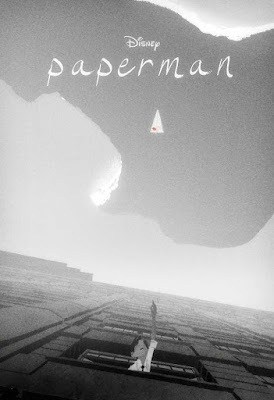 Paperman, An animated short that follows the story of a lonely young man in mid-century New York City, whose destiny takes an unexpected turn after a chance meeting with a beautiful woman on his morning commute. 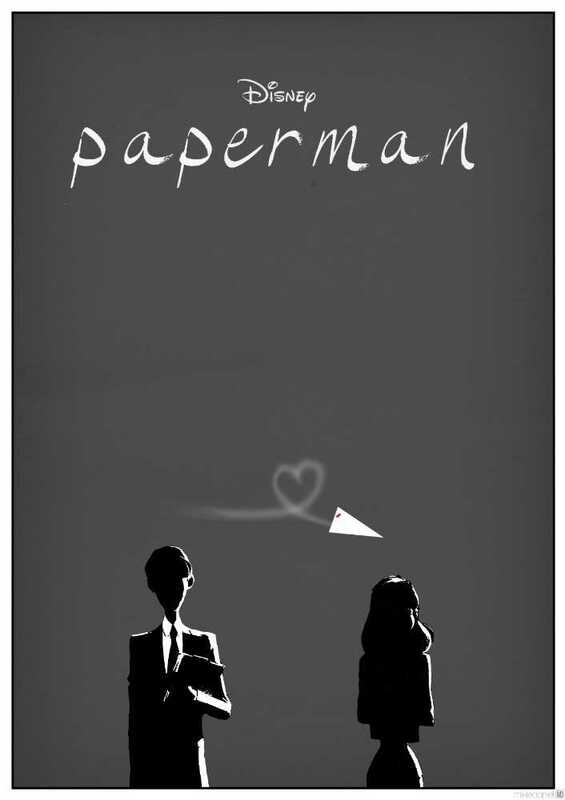 Convinced the girl of his dreams is gone forever, he gets a second chance when he spots her in a skyscraper window across the avenue from his office. 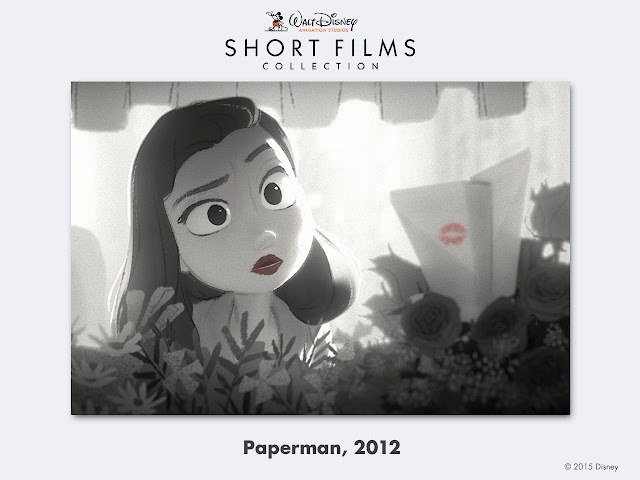 With only his heart, imagination and a stack of papers to get her attention, his efforts are no match for what the fates have in store for him.